About San Clemente Technologies, Inc.
San Clemente Technologies, Inc. has been was founded in 1993 under the company Digital Insights. Recently, San Clemente Technologies acquired the company Arial Software. As one of the original partners of Arial Software, Chris Lewis continues to lead Arial Software in establishing the company as the leader in permission email marketing. With the transition to San Clemente Technologies, you will find the same great products offered, same customer service, but a new vision for the future. Since its original success, each generation of the software includes technological and feature advances which continue to set the standard within the email marketing industry. Today, Arial Software's flagship program, Campaign Enterprise, gives professionals the most advanced permission email marketing software available in the market. They now have the tools they need to implement and manage personalized email projects from any browser, anywhere in the world! 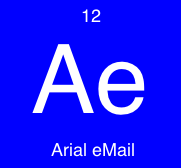 Arial Software products are integrated into e-commerce strategies by large corporations and small businesses alike, to send personalized emails to customers, prospects, members and subscribers. Live and responsive customer support, combined with solid try-before-you-buy product offers, has taken Arial Software from a small desktop program developer to an industry leader in today's commercial permission email marketing arena. Arial Software is DBA of San Clemente Technologies, Inc, a privately-held firm headquartered in San Clemente, California. For any additional information please feel free to contact our sales and information department or via phone at 1-949-218-3852.